Eating Clean and Lowering Those Carbs in January! 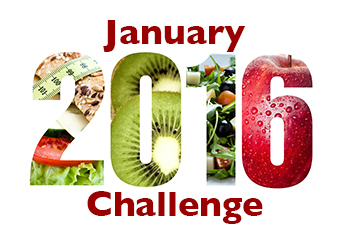 Join our January Jumpstart DietBet Weight Loss Pool and Lose to Win! Create Your Own Meal Plan! January is the time when we commit to new years resolutions and get started with our 2016 goals. One of the top goals that millions of people set for themselves is losing weight, but they go for quick fix plans instead of doing the work of creating a new lifestyle. Creating a eating plan that you can live with takes time, but it is key to long term success. This month, we are going to kick off our 2016 weight loss journey by eating clean, counting carbs and planning our meals. You will prep and research Jan 1-10 and begin changing your eating habits by January 11th. Sign up for our email list to receive this month’s tips, recipes and resources. What is clean eating? – Clean eating acknowledges that we don’t want to just lose weight, we want to eat food that is healthy. When you eat clean you will be eating more unprocessed, whole foods that are prepared or cooked in ways that don’t add extra chemicals, preservatives, refined sugar, etc. We are talking about fresh fruits, fresh vegetables, lean meats, meat substitutes like tofu, soy, whole grains, lots of water, healthy dairy and fresh juice. We will avoid fried food, fast food, junk food, bleached white flour, artificial ingredients, soda, commercial juice and sugary drinks, refined sugar (white sugar, corn syrup), and foods with chemicals, like dyes and trans fat. You will likely be cooking at lot more food at home, making green smoothies, researching recipes and looking for healthy snacks. Have no fear! We’ve got a Clean Eating Foods List to get you started and a list of resources below. Learn how to create a eating plan that works for you. This month we want you to explore how to balance your calories, carbs, protein, fat, sugar and fiber intake. The area we want you to focus on first is carbs. Step 1 – During the first week of January you will complete this step: Use a food calculator to determine how many calories and nutrients you will be eating each day. Then you will begin tracking your food intake via paper or the website/app of your choice and continue through the end of the month. There is NO one size fits all plan, so you have to do the work and do some research. It will take some time for you to find the right mix of foods…but you have to start somewhere. Take advantage of all the tools and information available. Step 2 – During the first week of January, you will do your research to find information, articles, books, recipes and meal plans that will help you to plan out your meals for Jan 11-Jan 31st. We all have different needs. YOU have to do the work to find a way of eating that works for you. No Excuses! Pull out those books and seek out information online. You may find free nutrition programs in your area sponsored by hospitals or state/local government agencies. Invest in working with a registered dietitian or nutritionist if you can. We will be sending you lots of information via email this month as well. Step 3 – Jan 11th-31st – Eat Clean and Lower Your Carbs if You Are Overeating Them. Eat Clean, Whole Foods 80-100% of the time. Yes, this will leave you some room for cheat meals/snacks, but don’t go overboard. 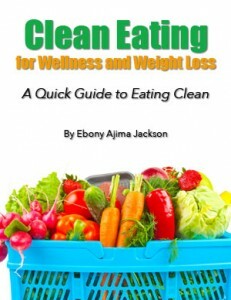 Download our ebook guide to clean eating for more guidance. What is DietBet? – DietBet is the social dieting game that lets you win money while losing weight together. You’ve got 4 weeks to lose 4% of your starting weight. To begin, everyone puts money into the pot and each person weighs-in via photos that include a secret word that you don’t have access to until 48 hours before the start of the contest (this keeps people from submitting old or altered photos). After four weeks there is another photo weigh-in and whoever’s hit their 4% goal is a winner and splits the pot with the other winners. Sign up today. Begins January 11th. Weigh-in via photo Jan 9-10th. I’ve created a downloadable e-book guide to help you navigate clean eating, “Clean Eating for Wellness and Weight Loss“. Get your copy today for just $7.99. It’s also available on Amazon. WebMD: What does low carb really mean? Eat real, whole food, not diet food. Avoid artificial sweeteners. Drink plenty of water. 64oz or more is a good goal. Prep meals 1-2 day in advance or prepare at least 1 meal at home each day. Keep meals simple and keep ingredients to a minimum. The more simple the meals, the easier it will be for you to stay on track with meal prepping and cooking. Don’t buy junk! If you don’t buy it, you will be less likely to eat it. Stop eating at least 2-3 hours before bedtime. If you have to eat at a restaurant, look up the menu online ahead of time for nutrition information. ANY fruits or veggies you like (fresh or frozen). If your goal is to go low carb, stay away from fruits with a high glycemic index/high in sugar. Leave a comment below and let us know what your weight loss and wellness goals are for 2016. Health Disclaimer: I don’t recommend this challenge or any diet plan/major eating overhaul for women who are pregnant or anyone dealing with chronic illness. Talk with a doctor and/or registered dietitian/nutritionist if you have nutrition questions or want to get a meal plan customized for your health needs. Do not try this challenge without speaking with a doctor, if you have health issues, such as diabetes, high blood pressure, high cholesterol, gallbladder problems, liver problems, pancreas issues, pre-diabetes or digestive disorders. Reducing sugar and carb intake will affect your insulin levels and it’s important that you know how that will affect you. I’m 65 and since I retired 5 years ago I have really added the pounds on (at least 20 !!). I want to lose these pounds at a minimum and then double that loss at least. I want to be more active with daily exercise but more importantly I want to get stronger and improve my balance and stamina as I get older. I believe a clean diet and motivation from the progress of others in this group with help me towards and beyond my goals! I am 53 y.o. and obese. I have yo-yo for several years… My 2016 goal is to be motivated/the right frame of mind which will lead to exercising consistently, eating cleaner, and weight loss. My goal is to eat better in 2016. I love working out, but never maximize or achieve full results, due to poor eating habits and making bad food choice. I declare to change this in 2016! I am 69 years 0ld and l want to eat better. I also want to lose weight. Exercise so I can my legs can get stronger. I want to look and feel healthy in 2016. Got to get motivated. Started back at gym, going to try to make it last this year. One day at a time. I have a great trainer, that understands my needs. Hope I can last longer than three months this time.I need to do this for me and my diabetes. I know I can do this. I have done it before. Just tired of being obese. One of the major goals black women should also add weight training to their weight loss routine. Started back at gym,going to try to make it last this year. I too have get motivated. I started eating better and exercise on 12/2/15. I’ve gone from a size 24 to 18 jeans but I’ve only lost 5 pounds. I just have to realize that this is a marathon and not a sprint. We live in a I want it now world were we constantly see shows like the Biggest Losser and info commercial advertising the next quick fix. Sometimes it hard to stay focus on the big picture which for me is more then just what the scale says but about better health. I’m glad I found this site.